David Green Construction delivers superior quality remodeling in Aloha for everything from adding a kitchen island to whole house remodeling. Our experienced contractors have experience in every aspect of remodeling and home renovation. We work with clients who have only general ideas about how they want to design an area, as well as clients who arrive with completed plans ready for the next stage. Our team brings your vision to life, whatever stage it’s in. Not sure how far your budget can go? Just ask! We have a reputation for accurate budgeting. With us, you get straightforward quotes from an experienced project manager who knows how to factor in all the relevant details. Our planning process is every bit as meticulous as the craftsmanship we deliver. 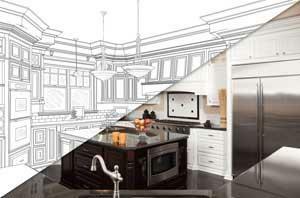 Need a contractor to remodel your kitchen or bathroom? How about one who stays on schedule and meets your predicted budget? You’re buying a service, not a product. Ask us for referrals! We gladly stand behind all of our work and can confidently offer proof of our workmanship. We’re not being pretentious when we say, “Master Craftsman.” This title is a distinction David Green has earned in the form of accreditation on his contractor’s license. It takes specific testing as well as letters from past customers and inspectors to achieve this top-level merit. With over 40 years of experience working as a building contractor, David has mastered every aspect of remodeling and building services. His superior quality products have gained him hundreds of satisfied customers. Ask us for references, we have several! Working to satisfy customers on even the most challenging remodeling designs has earned us a reputation for superior quality service, as well as a completely clean record with the Builder’s Board. 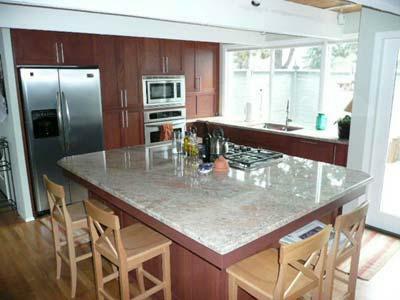 Talk to us about your remodeling project in Aloha, OR! Making easy work of what could otherwise be a monumental do-it-yourself project is our job! Our mission as a local home remodeler is to turn poorly functioning or unusable space into your favorite part of the house. Every remodel is managed by an expert general contractor with decades of experience in the industry. We offer free quotes because we love discussing ideas with our potential clients! So don’t hesitate to give us a call. I recently called David Green for a remodeling job in my basement. When his crew showed up they were on time and ready to work! They did a great job changing my old concrete block basement into a beautiful living space for my family! He is by far the most professional contractor I have dealt with in Oregon, or any other state for that matter! The best part was, they cleaned up their messes and didn’t track through my house! Two thumbs WAYYY up!! !